Each year at the very beginning of autumn Xento gets all geared up for a dazzling glint of Navaratri that soaks up the ambiance with euphoria. The wing-ding this year was more effulgent with the festival spirits managing to reach dizzying heights of ecstasy. Clad in their colorfully mirrored raiments and traditional silver ornaments our Xentians sure took us down the memory lane of a conventional Gujarati garba. 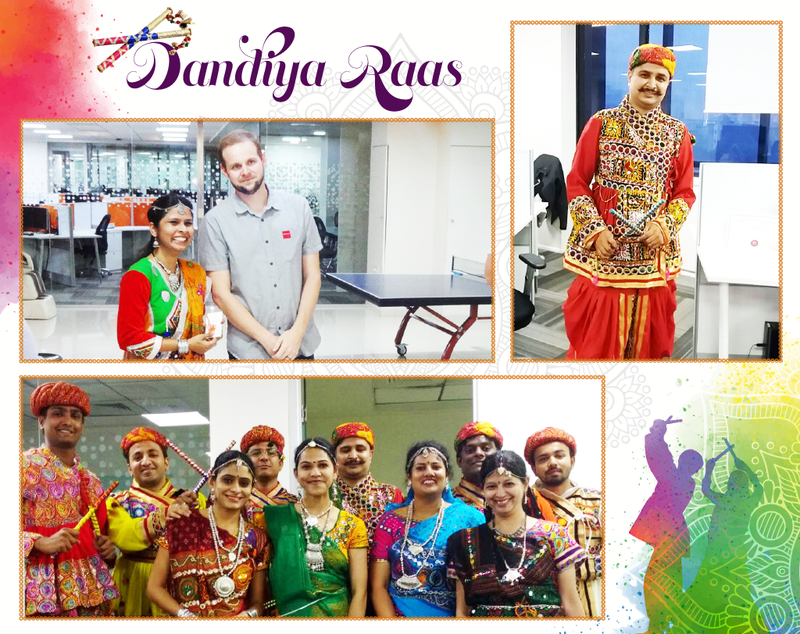 Having said this, we at Xento decided to inflate our staff’s already elated festive mood by setting up a competition for the best dandiya raas performance. This got our cheerful participants bubbling with excitement to compete for the best group performance. Preparations for the event kick started a week before, with everyone managing to choreograph their distinct rhythmic moves. Nonetheless, our personnel managed to perfect their dance and gave us an immaculate performance that got a lot of applauding from an enthusiastic crowd. 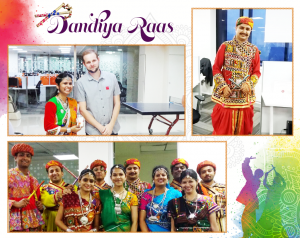 Dandiya raas celebrations are not all about the dance but it’s also an opportunity to flaunt your traditional outfits as most of them are very creatively styled. This being the reason we had a competition also for the best-dressed male and female. It sure was a colorful and cheerful event that will certainly grow bigger in the years to come.